Here in the Pacific Northwest we are having fabulous weather for the 4th of July. It's usually hit or miss around here. For us Summer now begins! We have the deck all set up for a BBQ. Burgers, baked beans, pasta salad, watermelon, chips and spinach artichoke dip (from Costco, nummy!). For dessert we are having "Michelle's Favorite Dessert" that is the name and no one can change it:) lol. Ree Drummonds website "The Pioneer Woman". That cake looks delicious... I always want to do an American Flag cake every year and never do... : ) I really need to, just so I can say I finally did... The pasta looks just as delicious.. I think that cake is wonderful, and your daughter Casey is adorable. Tell her I said congratulations! 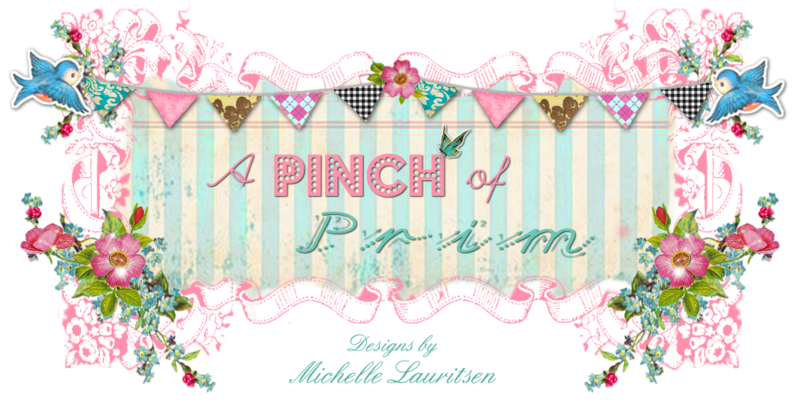 A Pinch of Prim GIVEAWAY!!!! !